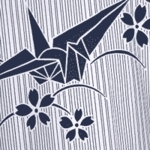 A woman's white yukata with blue accents... A man's blue yukata with white accents. The coloring of these traditional Japanese robes play off each other nicely. 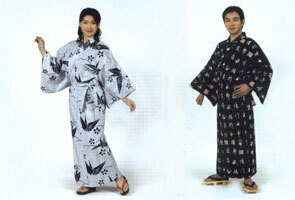 These comfortable cotton robes make an exotic wedding gift for a couple. This gift set also is great as a 2nd Anniversary gift, since cotton is the traditional material for that year.